9 Amazing Tips To Overcome Your Fear Of The Gym! Intimidated by the gym because of all the strange equipment, rules and huge mean-looking guys? Don't be! Everybody has been in the same spot. Here are a few tips that will help you get over your fear of going to the gym. Make sure to choose a gym that will be right for you. Avoid peak gym hours so you won't have to wait for equipment. Don't be afraid to ask for help if you don't understand a machine. Intimidated by the gym because of all the strange equipment, machines, silent rules and huge mean-looking guys? You are not alone. There are plenty of other people who avoid the gym on a daily basis just because they don't feel comfortable going. One of the main reasons is due to intimidation. If you already don't feel comfortable with your body, how are you going to feel when you are surrounded by people who work out all the time? What a lame excuse for not getting exercise. There is no reason for you to avoid getting a good workout because you are embarrassed to go to the gym! Keep in mind that everybody has been in the same spot as you. Nobody was born with a perfect body. Everybody Has Been in The Same Spot As You. The people that go to the gym everyday had to start somewhere, just like you! Here are a few tips that will help you get over your fear of going to the gym.
! 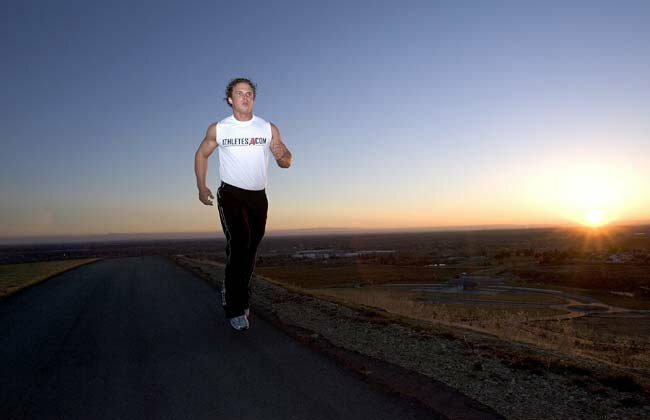 If you are the really self-conscious type, go running at night. There are fewer people out to see you and it is harder to see what you look like. Just make sure to wear something reflective and have a good light. You Don't Need A Gym To Go Running. at your library or movie store for some good ideas. Once you feel more comfortable with your body image, it will be a lot easier to get back into the gym. Find all of your favorite bodybuilding and training videos to help you get the body of your dreams! Find the perfect video for your goal! (or your local classifieds) for some great deals on used exercise equipment. You will be shocked to see some of the great deals you can get on a piece of equipment that was hardly used. I bought a great weight set for about $100 that had everything I needed. It wasn't perfect, but it has lasted four years in the backyard and still works like new! Getting your own equipment can even have some advantages over the gym. You avoid the commute, the parking, the membership, etc. You might be more motivated to exercise if you know your equipment is in the basement rather than across town. Powertec now sets new standards in bench design. Having addressed the pros and cons of the typical bench rack units on the market, we went to the drawing board and engineered the ultimate patented system! that is open when you want to go, has the equipment and classes that you need and is located close enough to your home so that it isn't too much effort to go. Also, there are probably more types of gyms than you think. 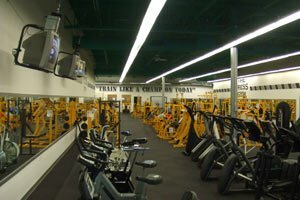 Most people picture a gym as a place with a bunch of weight sets and gym rats, but there are some which are far from that. Have you ever heard of the chain called "Curves"? There is also one for men called "Cuts". 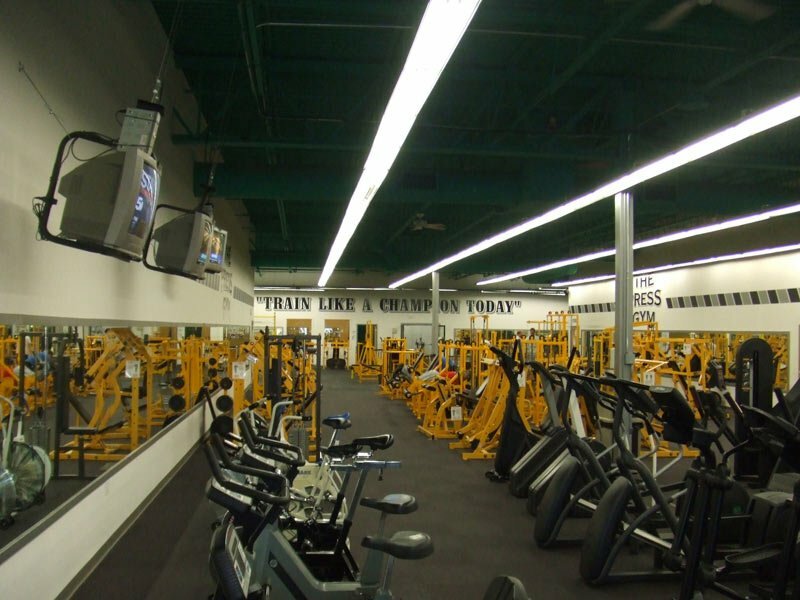 This gym is very different from your typical weight room. There are no mirrors, no huge guys flexing, and no weights to adjust. Just a bunch of stations and a chime every 30-40 seconds to tell you to change stations. These facilities are designed to help the average out-of-shape mom, dad, or granny get back into a healthy exercise routine. Try going at odd-ball times when nobody else is there. These hours vary from gym to gym, so call a few places and just ask. The attendant will just assume that you are trying to get a better workout and will tell you when the slowest times are. Unless you are speaking to a brand-new employee, any gym attendant will know what the slowest times are on their shift. At my gym in college, the morning was the slowest time. If you went past 6PM, you usually had to wait in line. In some other gyms I have been to, it is a ghost town after 8PM. Go out of the way to avoid peak hours until you become more comfortable. Try Going At Times When Nobody Else Is There. You will find that the gym is a lot more enjoyable when you aren't waiting around for equipment. Even though I am rather comfortable with the gym, I still avoid peak hours because I just prefer less of a crowd. This is much easier said than done, but is also very important. If you want to feel good about your body by comparing yourself to others, go to McDonalds. While at the gym, simply stay focused on your own personal improvement and goals. It is really easy to find yourself comparing your body to someone else's. I would often look at the huge guys at the gym and think that my gains are nothing compared to theirs. I realized that their level is irrelevant to my own personal development, and thinking about it would only slow me down. Do You Compare Your Physique To Others At The Gym? Remember not to be intimidated by the members who look like they are far beyond your wildest dreams; at one point, they were in the same place as you - a newbie to the gym! Personally, every time I see newbie just starting out in the gym, I get excited for them. I know that I was once in their shoes and if they keep at it, they will be very satisfied with the results. Some machines look complicated, but don't let that stop you from utilizing them. You can usually figure them out by looking at the diagram. If there is no diagram, don't be afraid to ask for help. I would recommend to either sit on the machine looking confused until someone offers to help you, or better yet, ask the gym attendant. Actually, just go ahead and ask the gym attendant to show you how to use the machine properly. It's their job and they will be happy to have someone to help. Search for exercises and learn the correct form with picture and video guides! Get the best results possible and stay safe while lifting. If you are just too embarrassed to ask, go online and read a tutorial about how to use the equipment. Just remember that nobody was "born" knowing how to work every machine in the gym. 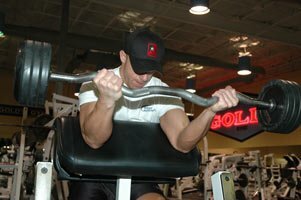 With a little research, you might know how to use the machines more properly than anyone else in the gym. Don't lift weights that are too heavy for you. If you don't know how much you can lift, always try to make a conservative guess: don't overestimate. Start low and work your way up. Also, make sure you aren't dropping or slamming weights down unnecessarily. Not only is this annoying, can cause damage to the weight room and the weights, but is also unsafe. Don't Lift Weights That Are Too Heavy For You. When I first started weight lifting, a friend was standing too close to me and I accidentally dropped a 40lb dumbbell on his toe. Needless to say, I always make sure to put my weights down slowly. You wouldn't want to hurt yourself, someone else or get kicked out of the gym. Always put your weights back where they belong so that people aren't tripping over them or having to search around to find them. Don't leave your personal belongings laying around the gym; put them in a locker or their proper place. Put trash in the trash, etc. Always Put The Weights Back. If someone asks "how many sets do you have left", let them know. If it is a lot, offer to let them "work in" with you (take turn doing sets). If someone is doing a bench press without a spotter, offer to spot them. Don't hog machines and always be sure to wear deodorant. 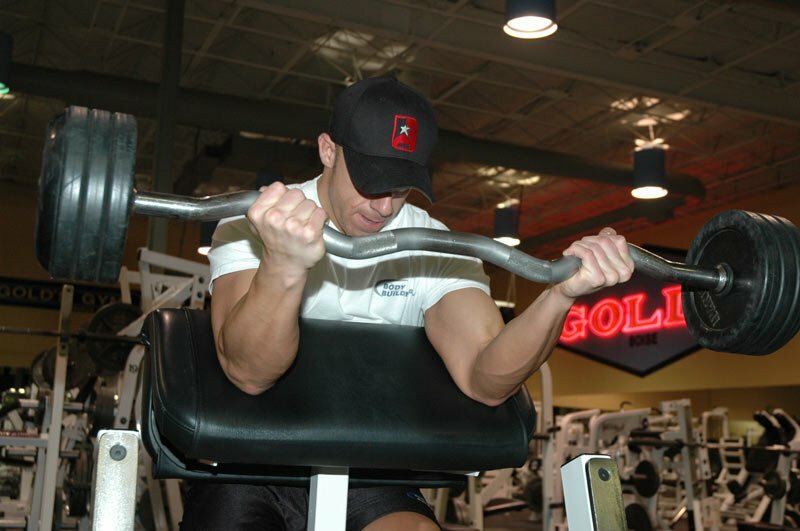 Do an online search for "gym etiquette" and familiarize yourself with all the rules. If you know what to expect and how to behave, you should feel a lot more confident going into the gym. [ Click here to learn more. ] Gym Etiquette Pet Peeves. Where has gym etiquette gone? I have been around gyms for over twenty years and have never seen the outrageous things I see going on today. Always keep in mind that you have to start somewhere. Nobody was born with a perfect body, and nobody was born a master of the gym. Follow these rules to make the transition easy on yourself. Once you get into the gym a few times, you will feel a lot more comfortable going on a regular basis. Starting is the hardest part, because it is a lot easier to keep it going once you get started. Once you are locked into a good routine, you will feel uncomfortable not going! How is that for a change?